Jack and Sandra Conner of Fort Worth, Texas, have always believed in tithing to God's work, and consider their charitable trust to Azusa Pacific University a tithe ahead on any estate they might leave. They chose APU because of its stability and long-term commitment to Christian service, and desire for the university to use the funds where most needed. "After all, when we give, it becomes God's money, and leaves a deep satisfaction of knowing our gift is going to be a help to APU and its students," they said. 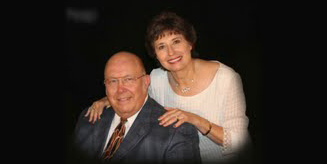 The Conners met in 1960 when they arrived from different Tennessee cities as students at Azusa Bible College (now APU). Prior to attending, Jack wanted to pursue physics-he was a National Merit Scholarship recipient and the first in his family to graduate high school- and Sandra had dreams of becoming a math teacher. All of this changed when they heard Dr. Cornelius Haggard speak. Dr. Haggard remains the longest serving president in APU history and they said Dr. Haggard's invitation made APU and California sound like heaven itself, so that's where they chose to go. Jack felt God's calling to the ministry, so instead of becoming a scientist, he became an assistant minister in the Evangelical Methodist Church in Glendora, California and neighboring cities. His first full-time ministry was in Cudahy, California, after which he served in several states. His last 18 years before retirement were spent in church administration for the Evangelical Methodist Church, including the final two final years as a national Conference Superintendent for the denomination. Sandra, meanwhile, focused on raising two sons and ministering through teaching- she recently retired after serving fifteen years as a Reading Recovery teacher leader, training other teachers how to work with struggling readers. Sandra and Jack also served two five-year missionary terms in Mexico and trained ministers at a Bible institute. Both can speak and teach in Spanish as well as English. Sandra and Jack were raised in Christian homes, and she accepted Christ at an early age. Her favorite Bible verse is found in Psalm 46:1: "God is our refuge and strength, an ever present help in trouble." Her daily philosophy is to live for the Lord. Jack claims 1 Thessalonians 2:4 as his favorite verse and goal. "On the contrary, we speak as men approved by God to be entrusted with the gospel. We are not trying to please men but God, who tests our hearts." Recently, the Conners attended their well-planned 50th class reunion at APU. Sandra also visited the Azusa Unified School District, where she and Jack began teaching, and was gratified to find the current principal at the school is an APU graduate. "Impressive" is the word they use to describe APU, and they believe the university is distinct from so many others because it is committed to the original vision of God First.